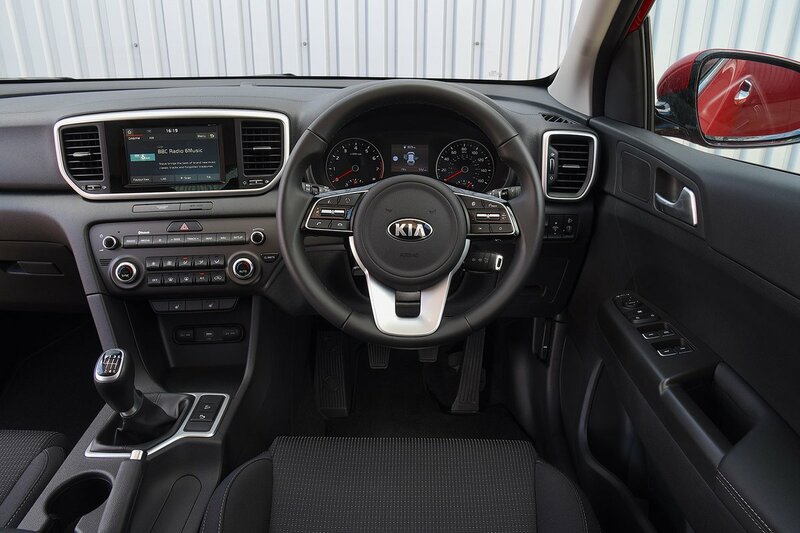 Kia Sportage Interior, Sat Nav, Dashboard | What Car? The Sportage has a good driving position that offers enough adjustability to cater for most people. All trims apart from entry-level 1 get electrically adjustable lumbar support and manual seat height adjustment, while 4 models and above (apart from GT-Line) get fully electric seats. Some drivers might wish the seat dropped a little lower, and the head restraints can feel like they’re forcing your head a touch more forward than you’d like, but generally the high-set position and fairly supportive seat are comfortable, even on long journeys. A central front armrest is standard across the range, while the dashboard switches and stalks are mostly where you’d want them and are clearly labelled. 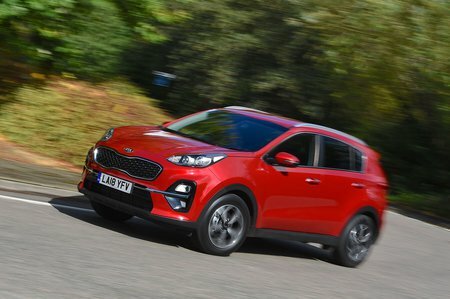 The Sportage gives you decent forward visibility past its chunky pillars and side mirrors, but the slightly narrow, high-set rear screen and thick rear pillars can make it hard to judge the car's extremities in tight spots. That said, all versions get a rear-view camera as standard, with rear parking sensors added on 2 trim. If you want front parking sensors, you’ll need to upgrade to a 4 model. It’s a shame that blindspot monitoring isn’t included unless you go for pricey 4 trim or above. 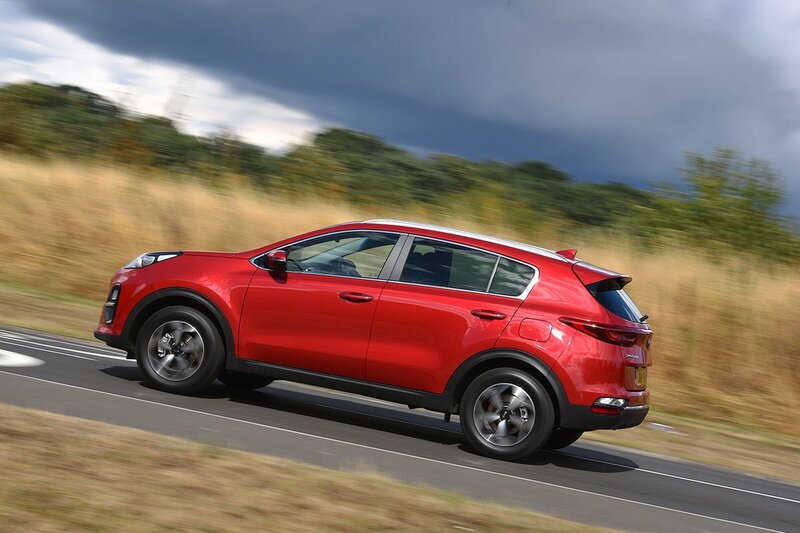 Even the most basic Sportage in 1 trim gets a 7.0in infotainment touchscreen with Bluetooth, a DAB radio, Apple CarPlay and Android Auto. If you really must have built-in sat-nav, you’ll need to upgrade to 2 trim. In both cases, the screen is fairly quick to respond to prods, and there are physical shortcut buttons that make it easy to hop quickly between key functions. Stepping up to 4 or GT-Line S trim brings an 8.0in touchscreen and a USB port for those in the back to charge their phones. The standard six-speaker sound system that comes on 1 and 2 trims delivers so-so sound quality, but 4 models and above feature a JBL stereo with eight speakers and a subwoofer, providing a punchier tone and less distortion at higher volumes. The Sportage's interior looks smart, with a combination of matt plastics and some metallic finish. There's also some gloss black panels on the dashboard and part-leather upholstery. All models feature a leather-trimmed steering wheel and gearlever, and going for 2 trim or higher also gets you leather on the armrests and satin chrome highlights. The interior feels quite solidly put together, while the switches and vent movements are well damped, but some of the materials – notably the matt plastics in lower-end trims – aren't anything to write home about. Overall, the Seat Ateca and Skoda Karoq are classier inside.